Harvard leather side table. 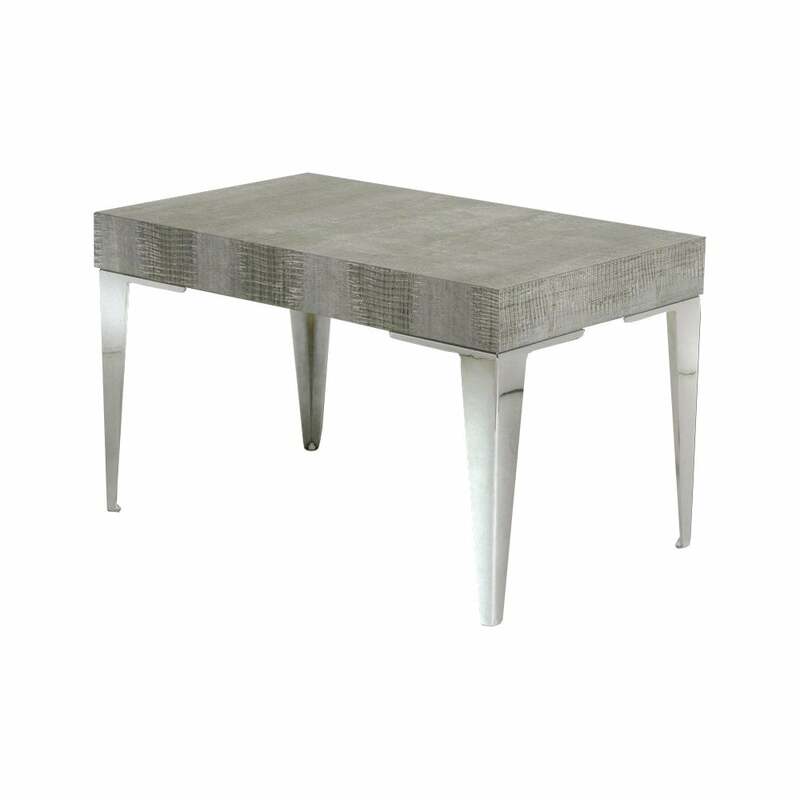 Simplistic contemporary style leather side table shown in metallic silver lizard with polished chrome legs. Available in over 100 leather finishes and as with all Simpsons' pieces, this side table has been handmade in England.